This new edition examines the latest diagnostic techniques for the interpretation of a complete range of cytological specimens. 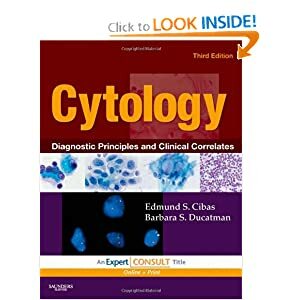 It is concise, yet covers all of the organ systems in which the procedure is used, with the number of pages devoted to each body site proportional to the clinical relevance of cytology for that site. Inside, you'll find new information on ductal lavage cytology and expanded coverage of FNA performance, keeping you current with the newest procedures. Over 700 full-color illustrations provide you with a real-life perspective of a full range of cytologic findings. Each chapter includes a discussion of indications and methods, along with a section on differential diagnosis accompanied by ancillary diagnostic techniques such as immunohistochemistry and molecular biology, where appropriate. As an Expert Consult title, it includes online access to the complete text of the book, fully searchable-as well as all of the images downloadable for your personal use-at [Для просмотра ссылок требуется регистрация. Зарегистрироваться...].